Spread = bndspread(SpotInfo,Price,Coupon,Settle,Maturity) computes the static spread (Z-spread) to benchmark in basis points. Spread = bndspread(___,Name,Value) adds optional name-value pair arguments. 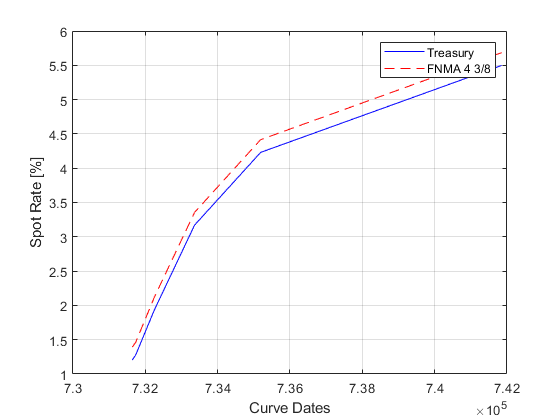 This example shows how to compute a Federal National Mortgage Association (FNMA) 4 3/8 spread over a Treasury spot curve and plot the results. 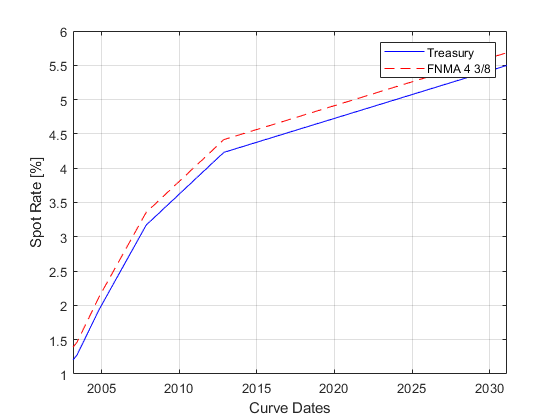 This example shows how to compute a Federal National Mortgage Association (FNMA) 4 3/8 spread over a Treasury spot curve using datetime inputs for Settle and Maturity and a table for SpotInfo and plot the results. Spot-rates information, specified as matrix of two columns, an annualized term structure created by intenvset, or a table. Price for every $100 notional amount of bonds whose spreads are computed, specified as numeric value using a scalar or a NUMBONDS-by-1 or 1-by-NUMBONDS vector. Annual coupon rate of bonds whose spreads are computed, specified as decimal value using a scalar or a NUMBONDS-by-1 or 1-by-NUMBONDS vector. 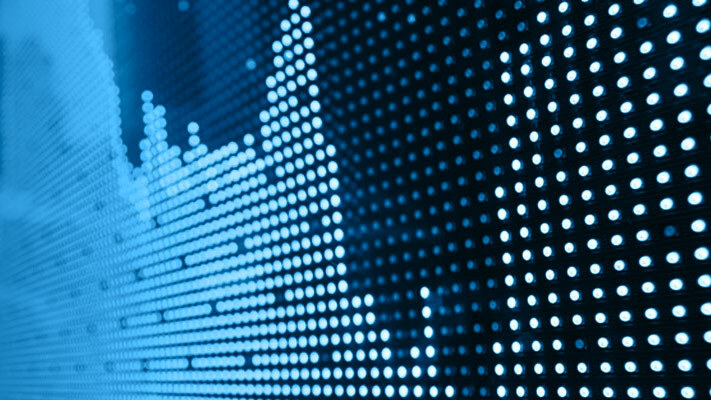 Static spread to benchmark, returned in basis points as a scalar or a NUMBONDS-by-1 vector.